The laser Megajoule project takes place near Bordeaux, France. It will be the most powerful beam laser generator in the world. It will allow the simulation of nuclear fusion. At the center of the spherical test room of 10 meters diameter, 240 laser beams converge towards a micro-target. 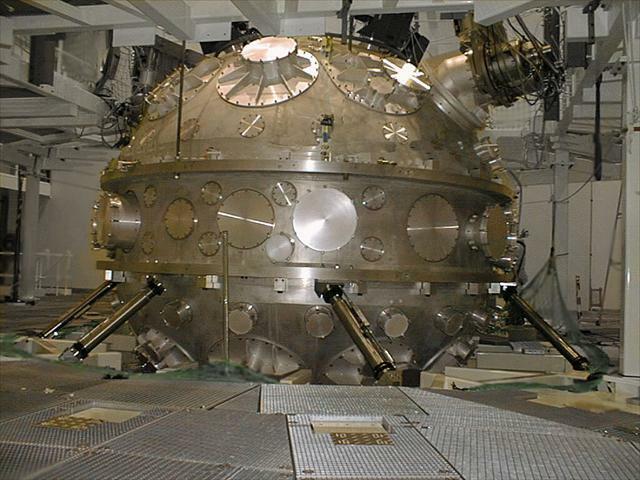 The Atomic Energy Commission (CEA) needs a high accuracy positioning system to adjust the position of the spherical vacuum chamber after it has been pumped. After alignment the vacuum chamber does not need to be realigned as the stiffness and the stability of the hexapod are excellent.